If you've read yesterday's post, you'll know that I have become a bit blasé about the offerings at TopDrawer. I felt I had seen most things before and there wasn't much there I found very exciting. However, this company was one of the very few exceptions. This is the Big Tomato Company and when I saw these mugs and plates, I really did go "wow, these are fab". 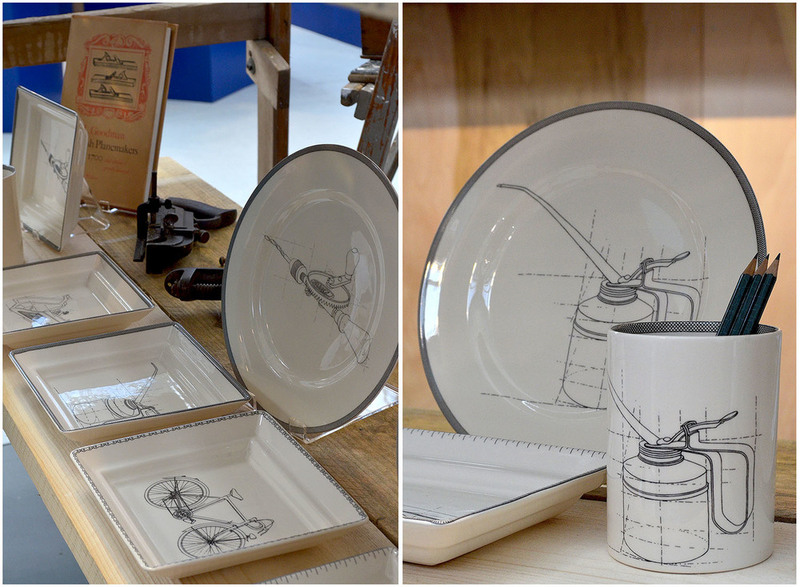 I don't think I have ever come across draughtsman's tools on plates, very intricate details of bicycle mechanisms on cups, or a plane on a presentation tray. I love the details of these drawings and the simple black and white scheme. Even though there were other collections on display (and many more on the website), this was really the one that stood out for me.